Kosmose - First Time Out. Vinyl LP. Bleep. 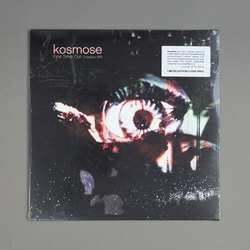 From the 1970s, Kosmose album ‘First Time Out’ is an aural attack, a psychedelic dream of possible opportunities. Featuring Alain Neffe (Insane Music) and Guy Marc Hinant, known for their contributions to Belgian’s cold wave and post-punk scene, the album is a beautiful work of experimental and noise nonconformity, starring flute, bass with violin bow, synths and primitive music boxes. All music previously unreleased, out now on clear coloured vinyl by Sub Rosa.